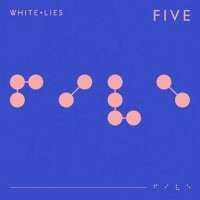 The writing and recording process took in both sides of the Atlantic, including a creative sojourn to Los Angeles where they worked on new material with old acquaintance Ed Buller - producer of two previous White Lies albums including the band’s chart-topping debut To Lose My Life. Barry says: Alan Moulder's production couldn't have been a more perfect fit for white Lies' mildly gothic Interpol-esque swagger and heavy synthy undercurrent. Distorted guitars are offset with tender breakdowns and perfectly measured instrumental passages.